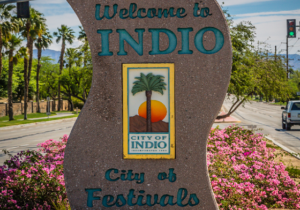 INDIO, CA – The Greater Coachella Valley Chamber of Commerce, in partnership with the City of Indio, hosted the Annual Indio State of the City Address and Business Expo on Tuesday. 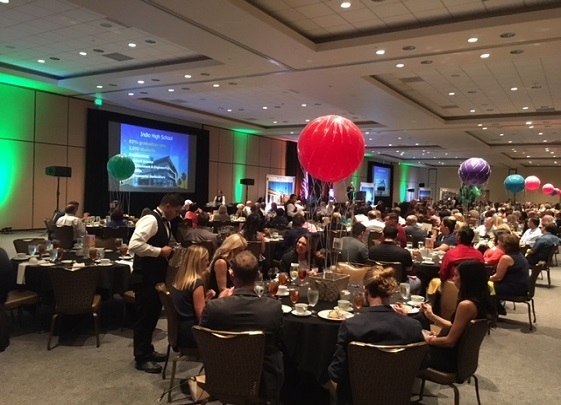 The event was attended by over 300 local business owners and professionals form across the valley. The annual event is a showcase for the City, often focusing on new development and infrastructure investment. This year’s theme was “Indio Rising” and the event announcements did not disappoint. Upcoming development in Indio includes a new Loma Linda University Children’s Hospital and a Fairfield Inn and Suites opening on Jackson St. The development is all part of the City’s continued push to serve two of it’s core economic drivers, young families and tourism generated through it’s festivals. A video released by Goldenvoice at the event featured many of the positive economic impact the upcoming Desert Trip concerts will bring, an event expected t draw in excess of 120,000 people to Indio. For additional coverage of the State of the City, and video, click here to see the Desert Sun’s coverage.